Home Article TV Personality Josh Gates and His Wife Hallie Gnatovich's Married Relationship; How Did It All Began? How Many Children Do They Share? 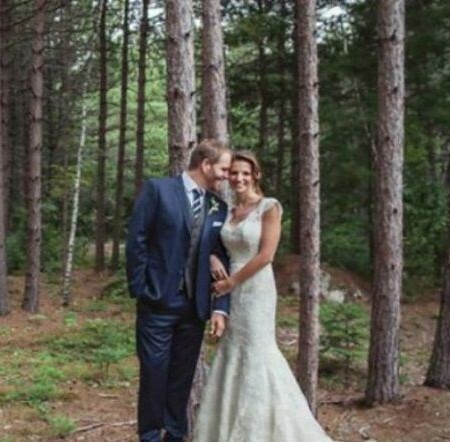 TV Personality Josh Gates and His Wife Hallie Gnatovich's Married Relationship; How Did It All Began? How Many Children Do They Share? No matter how much of a celeb you are, it's always a struggle to find a genuine soulmate who brings unconditional happiness in your life. Josh Gates belongs in the minority fortunate enough to find the love of his life in the form of Hallie Gnatovich. When did this adorable couple marry? How did they meet? What sort of joy did Hallie bring in Josh's life? Without further ado, let's get to it. 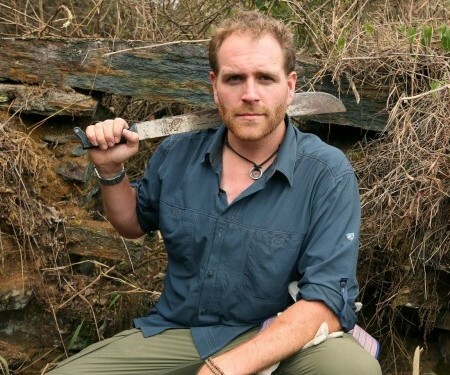 Back in 2007, Josh Gates was starring as the host of a Syfy channel's show named Destination Truth. There he went on to meet the woman who was going to bring unprecedented joy in his life, a woman he was going to take wedding vows with, a co-star of the show at the time named Hallie Gnatovich. After getting introduced, the duo soon began to carry a romantic connection. They worked together for 5 years from 2007 to 2012. During the time, their love affair had well and truly taken off. The couple later got engaged in May 2013. After multiple dates that went on for years and a year after their cute engagement, the couple tied the knot on 13th September 2014 in a Hidden Pond Resort in Kennebunkport, Maine. The wedding was held in private with only family, friends, and relatives as guests. When you think of emergency calls, you tend to perceive it in a negative light as in something bad must have happened. 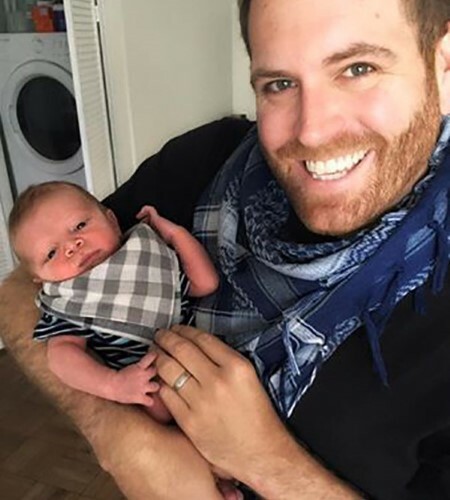 Josh Gates belonged to the fortunate minority who received the best news he could imagine when Hallie Gnatovich broke the big news on camera. Josh was in the middle of shooting the 7th episode of Expedition Unknown about Christopher Columbus when his wife called him. Hallie revealed she was pregnant and he was going to be a father. This brought unprecedented joy in his life. The sheer happiness on Josh's face cannot be explained in words. Josh was so overwhelmed with the news, it was difficult for him to contain his happiness. This part was also aired in the episode. The news subsequently came to life in February 2016 when the couple welcomed their first child, a son named Owen Gates. You May Like: TV Presenter Alex Hammond married Richard Quinn in 2007. Know their current relationship status. There are no reports or any rumors of any conflict between the pair as they are living a happily married life. Gates is so protective when it comes to his family life; his wife and son. He maintains his family life behind the bars. He was born on August 10, 1977, in Massachusetts. He graduated from Boston's Tufts University with specialization in archaeology and drama. He began his career as an explorer and subsequently climbed Mt. Kilimanjaro and Mt. Aconcagua. He is well renowned for the show Destination Truth on Syfy. He wrote a book titled Destination Truth: Memoirs of a Monster Hunter. He made a guest appearance alongside Katie Couric on The Today Show.